If you’re not incorporating photographic visualization, virtual and augmented reality in your marketing, prospecting and lead-generation initiatives, then you’re missing out on potential sales opportunities and literally leaving money on the table. That’s according to the folks at Chameleon Power, a software company specializing in proprietary tools designed to help manufacturers, distributors, retailers and contractors deliver online and in-store/in-home presentations for their respective clients. How it works: Chameleon Power dynamic visualization solutions provide real- time rendering of outcomes during usage. (Users may select from stock room scenes or upload their own rooms for instant viewing and selection of flooring products.) A website visitor or mobile app user can make instant changes of flooring and complementary surfacing to help with decorating decisions. Chameleon tools are deployed as website solutions, in-store kiosks and mobile apps, virtual reality (VR) and augmented reality (AR) solutions as well as product design and simulation technologies. Chameleon complements its tools with a suite of rendering, product photography, color correction, product simulation and print services. “We morph ourselves into whatever our clients need to help them embrace our software tools,” Dempsey said. What’s more, Chameleon Power’s technology is flexible in that it can be applied toward various uses depending on the end-user channel. 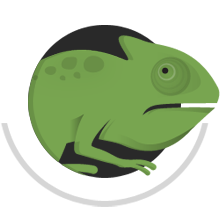 Online merchants, flooring retailers, homebuilders, designers, architects and many other channels servicing the end-user can implement Chameleon tools and services. For example, flooring dealers utilizing online tools, in-store kiosks, AR and VR tools can help their customers with colors, patterns and textures as they move to close the sale. While Chameleon Power is by no means a newcomer in its field (it has been around for 20 years), the company has accelerated its product development in the 3D/virtual reality/augmented reality areas over the past several years. Many innovations from Chameleon spawn from client needs, including technologies for “blending,” which, according to Dempsey lets users to create unique mosaic combinations of tile and stone configurations. Today, Chameleon covers the gamut of visualization platforms, offering many different types of tools that all spawn from its original visualization engines. Dempsey rolled off a litany of projects for clients such as Arizona Tile, Armstrong Flooring, Emser Tile, Shaw, Milliken and Ply Gem, to name a few—each with their own needs and requirements. Arizona Tile, is a case in point. Over the course of the past five-plus years, the supplier worked with Chameleon Power on three different site projects—a standard visualization site, where customers can view the company’s products in various residential and commercial settings, as well as two customized portals specifically developed for Arizona Tile’s needs.